A short, circular walk starting and finishing at the Turunç Mosque. 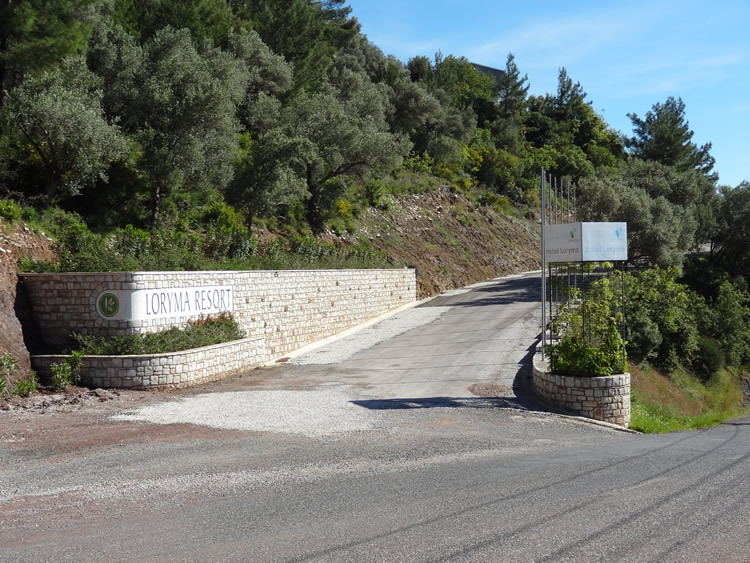 The first half of the route follows the road out of the village as far as the Loryma Hotel where there are stunning views over the whole of Turunç bay. During the season there is a terrace cafe/bar here making an ideal place for a refreshment break. 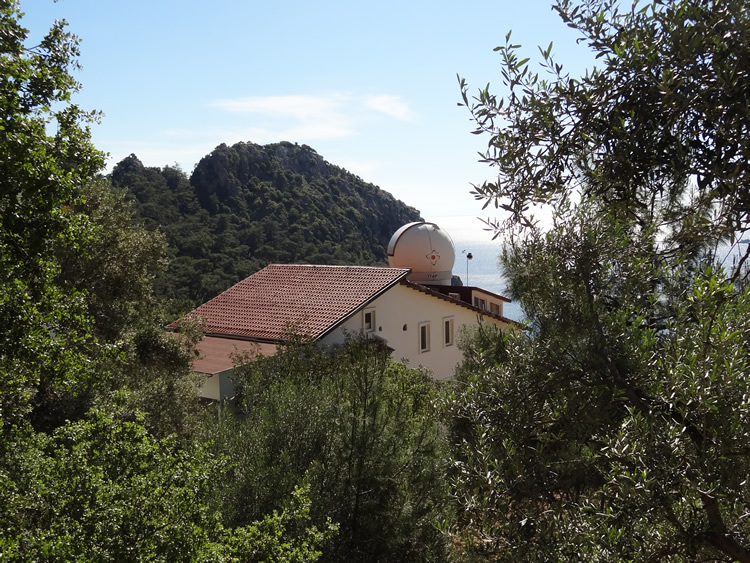 From the hotel the route passes the Institute of Theoretical and Applied Physics (ITAP) and the International Academy of Marmaris (IAM) - most unexpected residents of Turunç! 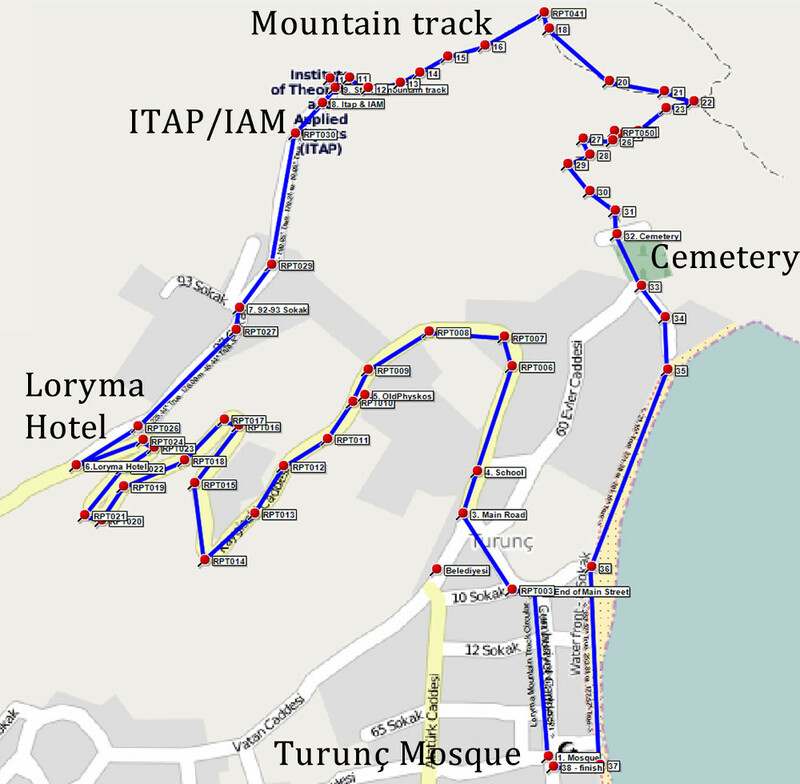 The route now joins a mountain track following the side of the mountain until dropping down to Turunç Cemetery and a walk along the water front back to the starting point. The mountain track is rough but not difficult although the descent to the cemetery is a bit of a scramble. The walk starts at the village Mosque in the middle of Turunç. With the sea on your right hand side head up the main street to the end, where you turn left. Keep right at the next junction and continue to join the main road out of the village. If you look left you can see the Turunç Belediyesi (Town Hall) but you should turn right and head up the hill. Turn right onto the main road heading up the hill out of the village, passing the village school up the slope on your left. 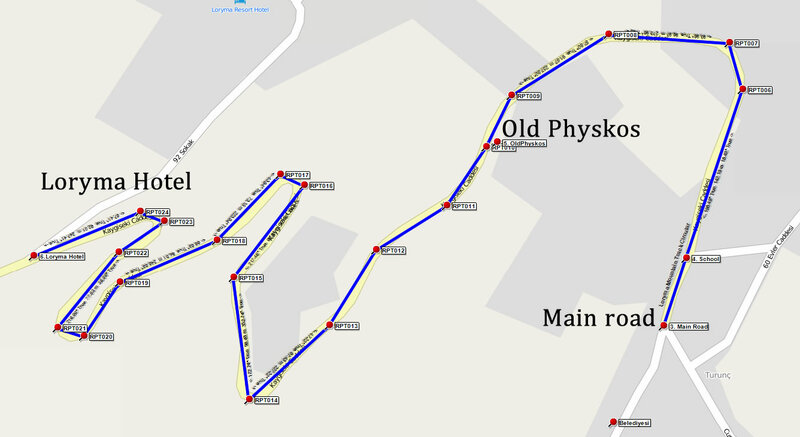 There is a sweeping bend to the left and shortly after, on your left hand side, look out for the old Physkos buildings. The current Physkos, owned by Holiday Property Bond, is situated at the back of the village, but this is the original Physkos apartments, run by Tapestry, but no longer in use. Notice also the new orange trees (turunç means bitter orange) planted along the left hand side of the road to welcome visitors. 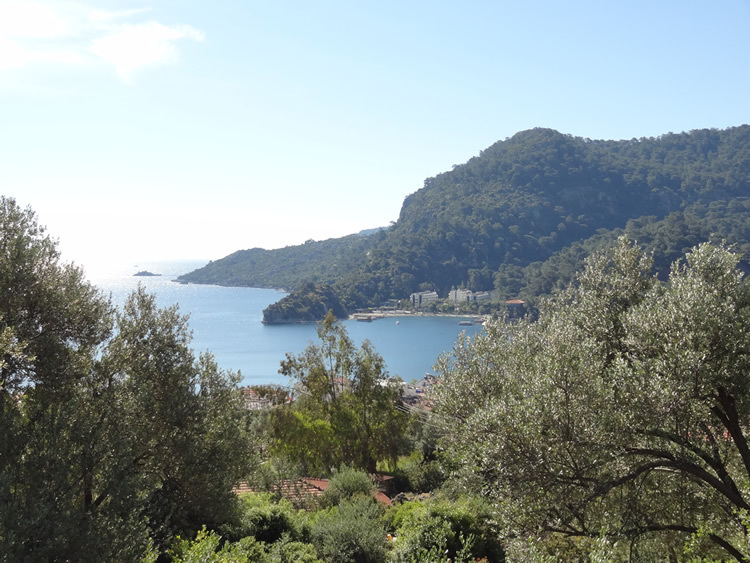 As you climb the hill you will be treated to some great views over the bay and the village. 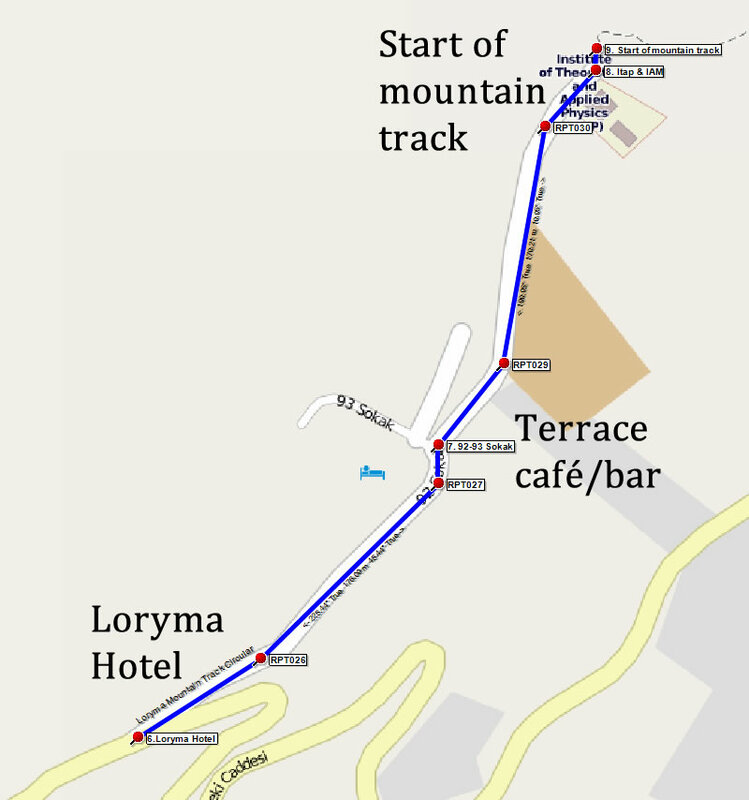 After the second left-hand hairpin bend you will see the signs for the Loryma Hotel. Turn sharp right to take the road towards the Loryma Hotel. Stay on this road until you reach the hotel complex and a road junction. Here, you keep right, and a little further, on your right and below you, you will see the terrace café/bar. It's worth visiting the terrace if only for the amazing views over Turunç and, if it's open, for refreshments. 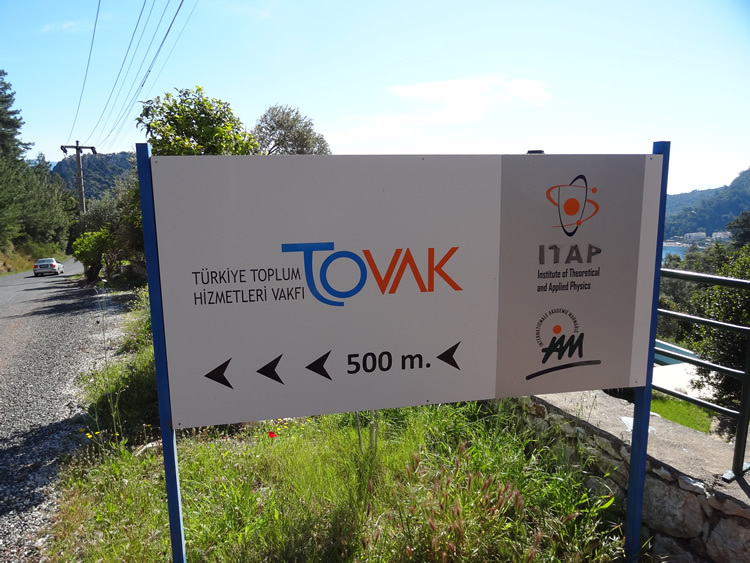 Continuing along the road to the end you will see the ITAP (Institute of Theoretical and Applied Physics - http://itap-tthv.org *) and IAM (International Academy of Marmaris - http://akademimarmaris.net/en/ **) buildings on your right. An interesting location for two international institutes! 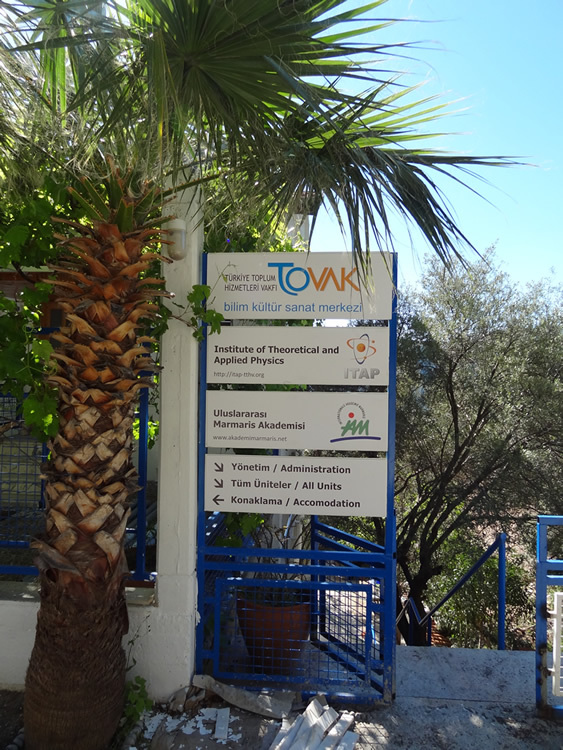 "Institute of Theoretical and Applied Physics (ITAP) is a new centre of scientific interaction, established in 1 March 2006. We believe that the institute will soon become one of the favourite international meeting points for students and physicists from around the world." "IAM is a centre providing facilities for art and science in Turkey which meets high expectations and aspirations; it has a unique atmosphere. The centre is available as an international meeting place for people from all countries for activities in all fields." If you look carefully you can see a small astronomical observatory on top of one of the buildings. From the end of the road, the route joins a mountain track. 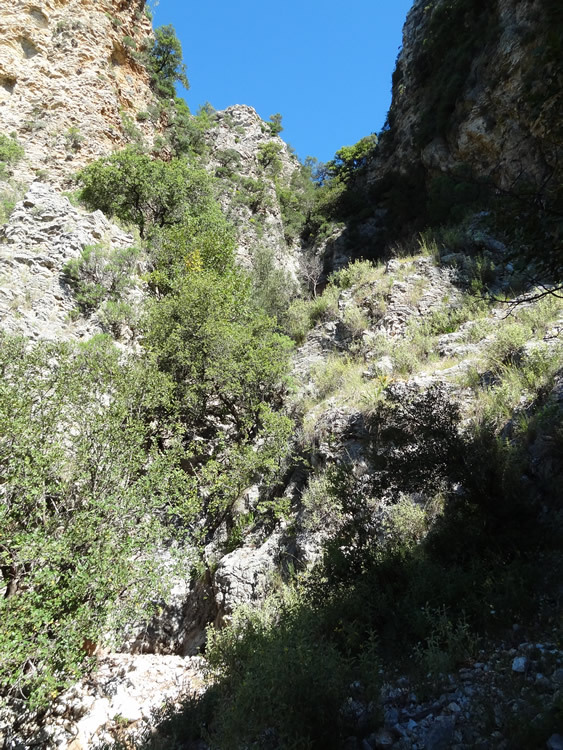 Although you are going to traverse the side of the mountain to your right, the trail goes slightly left at the start to cross the stream bed and then turns right to continue in a fairly straight line along the side of the mountain. 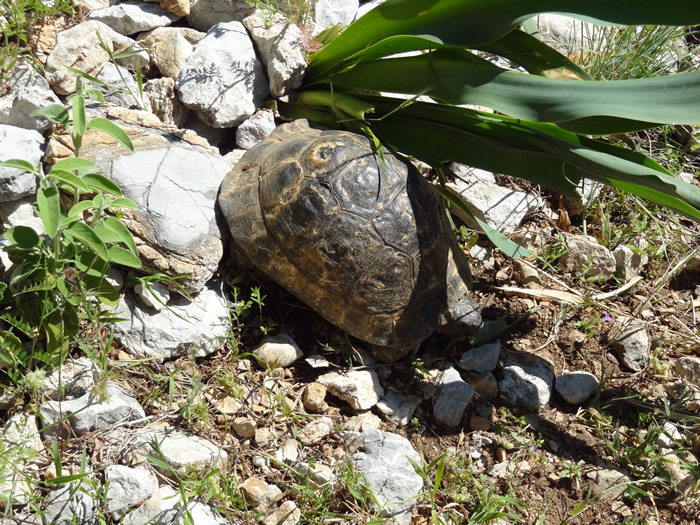 Look out for wild tortoises as you walk - there are plenty about! 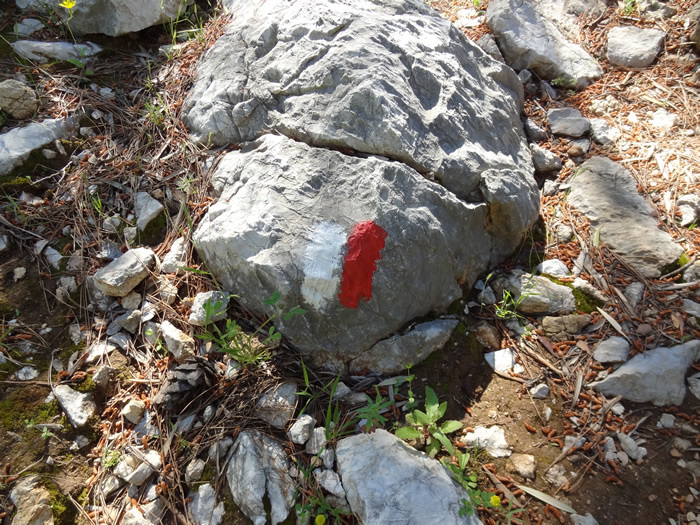 There are also red and white way markers painted on rocks from time to time although it is easy to miss these. 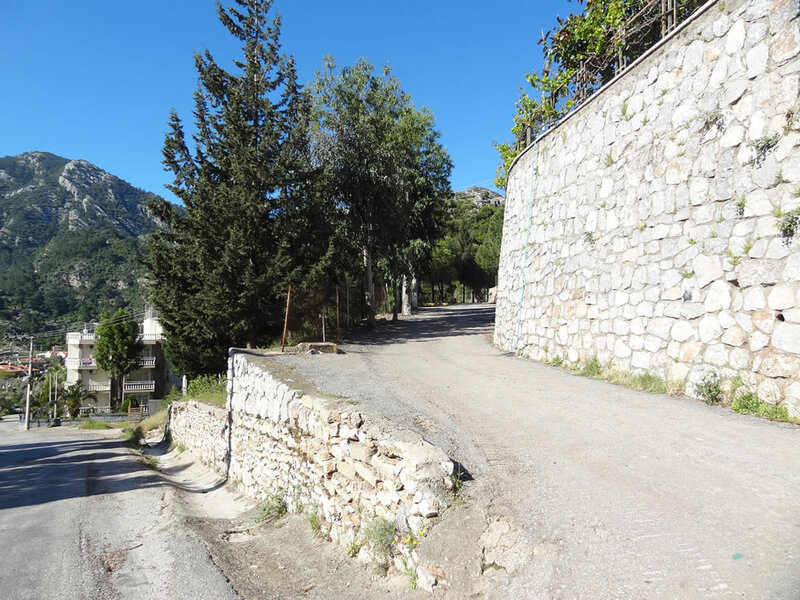 The track bears right as you cross a small ravine and then continues along the side of the mountain until it crosses the footpath from Turunç cemetery over the mountain to Içmeler (waypoint 22 - Junction with Içmeler Track). This path is not well marked and you will have to watch carefully to find it. When you find it, turn right to start descending toward the cemetery - although you will not be able to see the cemetery at this point because of the trees. 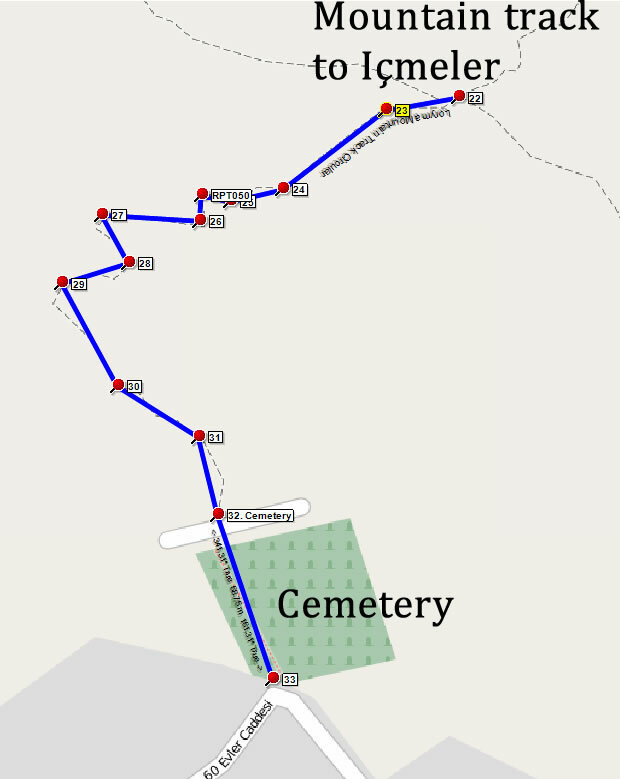 If you miss the descending track, don't worry, there are several other tracks descending to the cemetery and there is no danger, just a bit of a scramble. From waypoint 22 - Junction with Içmeler Track, you turn right to join the track from Içmeler as it descends towards the Turunç cemetery. Take care of your footing on this section as it is a bit of a scramble in places over loose rocks. You arrive at the cemetery at a wall where you proceed straight ahead down the cemetery path to the main cemetery gate. 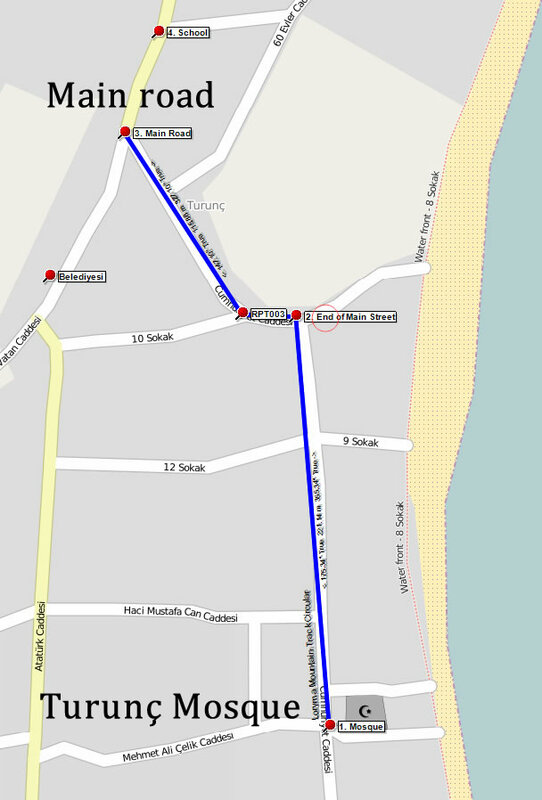 As you leave the cemetery (the Meril Boutique Hotel in front of you) follow the road left towards the sea and then keep right to follow the water front, with the sea on your left. Stay on the waterfront path until you reach the Fidan restaurant where you turn right to bring you back to your starting point at the Mosque. Walked this route again this year (2018) - many large fallen trees now cover the path once you leave the Icmeler track heading for the cemetery. Expect to do some tree climbing!